Polyfoam XPS Ltd is a leading manufacturer of closed cell, extruded polystyrene insulation. The Polyfoam products are lightweight, strong, moisture resistant and easy to cut and shape, and provide thermal performance and strength for the lifetime of the building. They are manufactured in the UK using a blowing agent with low global warming potential (GWP) and zero ozone depletion potential (ODP). Polyfoam XPS products are free from CFCs and HCFCs. They have Environmental Product Declarations (EPDs), benefit from an A+ rating under the BRE Green Guide to Specification. 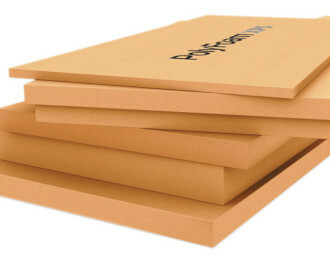 Polyfoam XPS Ltd procure raw material in Responsible Sourcing of Construction Products and is certified to BES 6001. The Polyfoam XPS factory in Hartlepool has been assessed as operating under an ISO 9001:2015 Quality Management System, an ISO 14001:2015 Environmental Management System, an ISO 50001 Energy Management System, and an OHSAS 18001 Occupational Health & Safety Management System. The Polyfoam products are BBA Agrément certified. 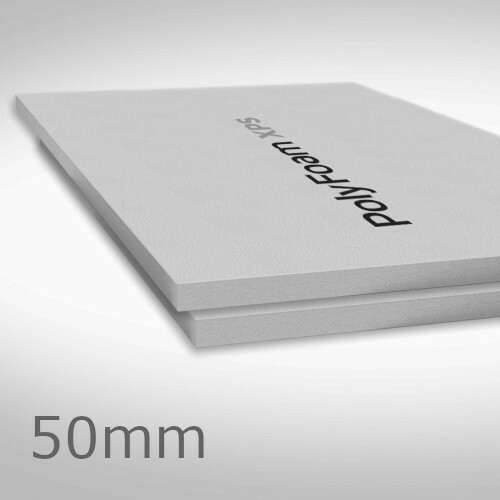 25mm Polyfoam XPS Floorboard - Standard grade is a high strength extruded polystyrene board (XPS) suitable for any floor construction including below a concrete slab, below a screed and below chipboard. 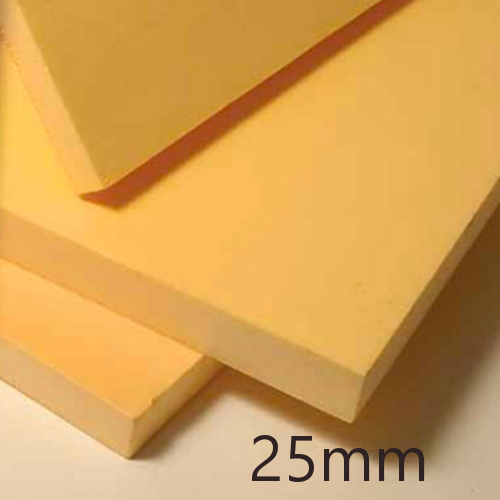 It can also be used as the external insulation layer in basement walls depth up to 2.50m.CHARACTE..
25mm Polyfoam XPS Floorboard - Extra grade is a high strength (kPA 300) extruded polystyrene board (XPS) suitable for any floor construction including below a concrete slab, below a screed and below chipboard. It can also be used as the external insulation layer in basement walls dept..
50mm Polyfoam XPS Floorboard - Super grade is a high strength (kPA 500) extruded polystyrene board (XPS) suitable for any floor construction especially high load applications such as car park floors and cold store floors. It is a lap jointed board.CHARACTERISTICSExcellent thermal cond..